Equipped with the most-advanced gyro stabilized camera in the world, the team at Teton Gravity Research flew from Kathmandu to Mount Everest, capturing the first ultra HD footage ever shot above 20,000 feet. I've never seen these mountains look so beautiful. The video was shot using a GSS C520 camera system mounted to a helicopter, which was able to fly as high as 24,000 feet while its crew used supplemental oxygen. 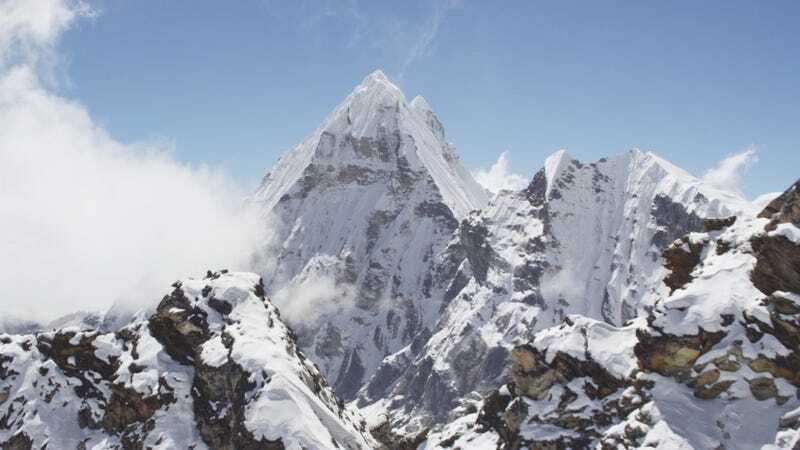 Even at that height, it's incredible how much taller the 29,029' Everest peak is. Make sure you read Chris's coverage about hiking and climbing there on a shoestring.